Rhino replied to El Presidente's topic in Cigars Discussion Forum "the water hole"
Rhino replied to Kitchen's topic in Cigars Discussion Forum "the water hole"
Rhino replied to Ryan's topic in Cigars Discussion Forum "the water hole"
Planning a trans-continental move. Who's on my path?? Rhino replied to cfc1016's topic in Cigars Discussion Forum "the water hole"
Rhino posted a topic in "Cheap & Cheerful"
Rhino replied to bayala's topic in Cigars Discussion Forum "the water hole"
HANDICAPPED BOXPASS 2018 - Complete! 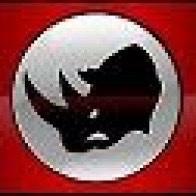 Rhino replied to fundadores's topic in Cigars Discussion Forum "the water hole"